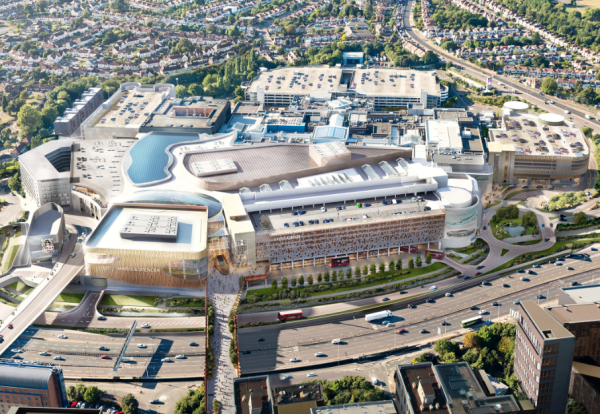 A joint venture of Graham/Hochtief is believed to have secured the first major contract for infrastructure works to pave the way for a £1.4bn redevelopment of the Brent Cross Shopping Centre in north west London. The Enquirer understands the JV has bagged the deal ahead of its main rival BAM. The bid race started 12 months ago when an OJEU notice was posted for the first phase of infrastructure works covering highways, roads, bridges, river works, utilities and diversions. The contract is valued at £15m and is expected to last 18 months. Laing O’Rourke is preferred contractor on the main £700m construction package for joint owners Hammerson and Standard Life Investments.